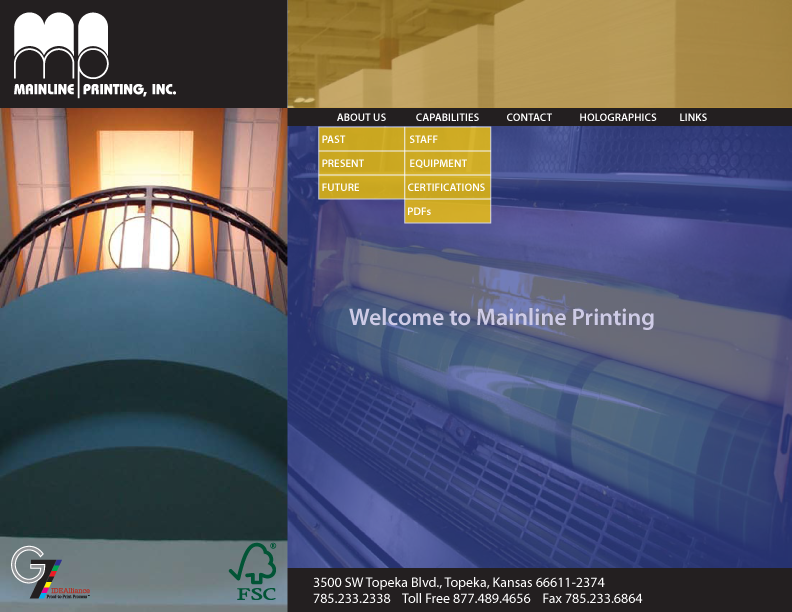 Mainline Printing in Topeka, Kansas uses state-of-the-art printing presses. 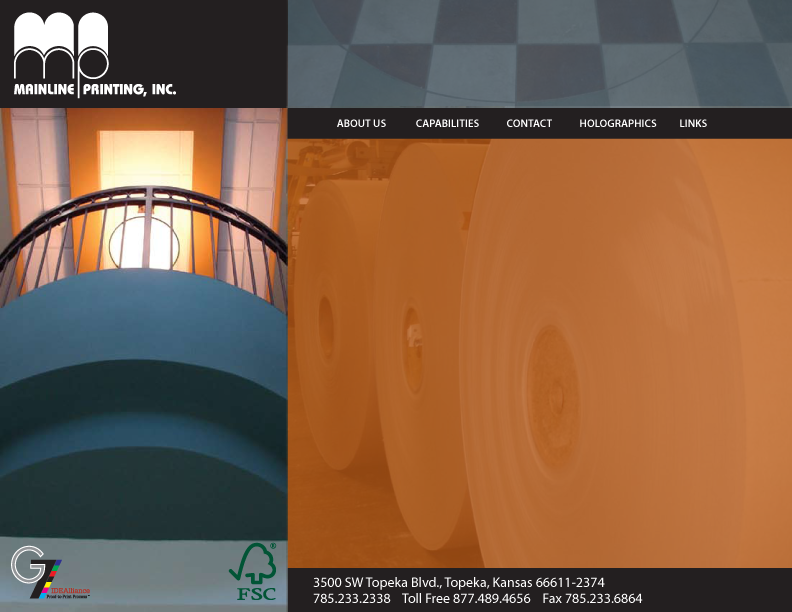 They produce some of the finest printed material in the midwest. 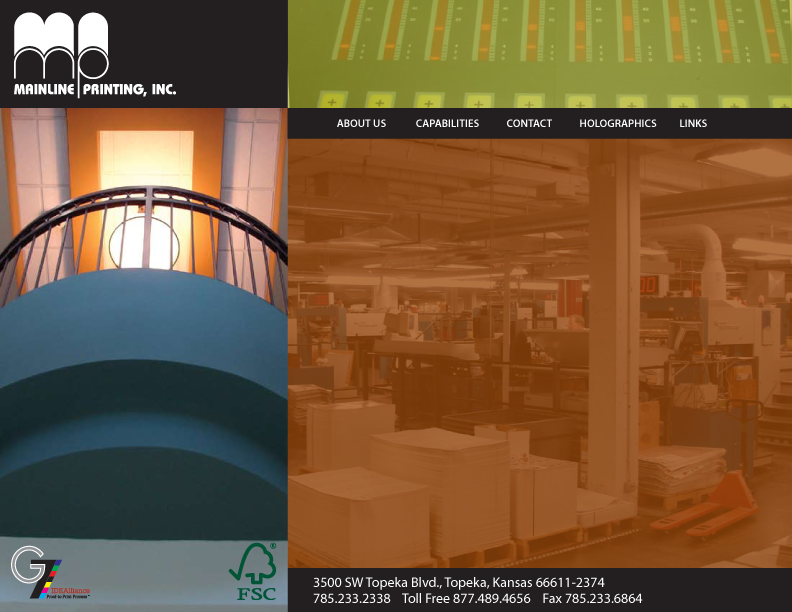 They are one of the only holographics printers in the country. But their website needed some work. I was asked to give them a new interface that better exemplified Mainline's capabilities - not as a new technology company - but as one of the best equipped practicianers of a centuries-old technology in the region. The irony of representing the concept of print in a medium that threatens to kill it was not lost on me. Forgoing bells and whistles and telling the Mainline story in simple images and minimal words seemed appropriate. Good design translates regardless of medium. Long live ink on paper.